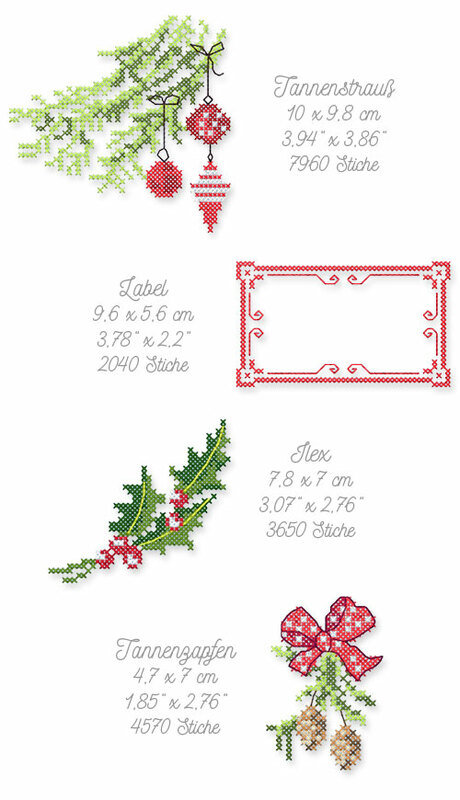 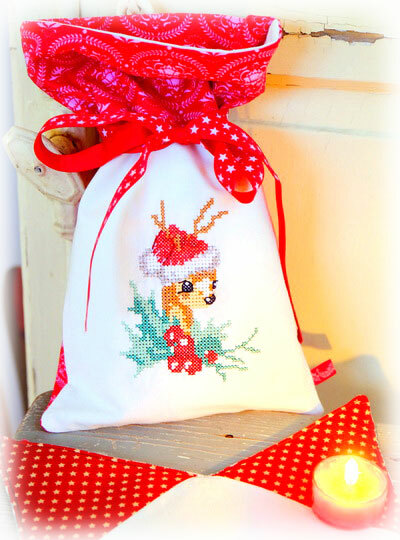 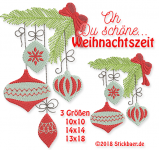 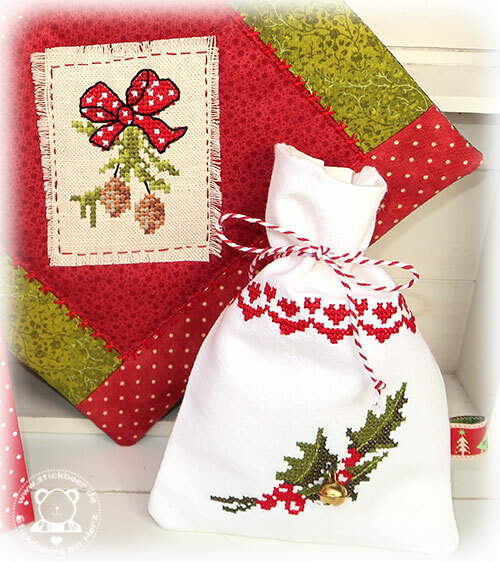 With this embroidery file you can create 8 beautiful and detailled Christmas Cross stitch designs. 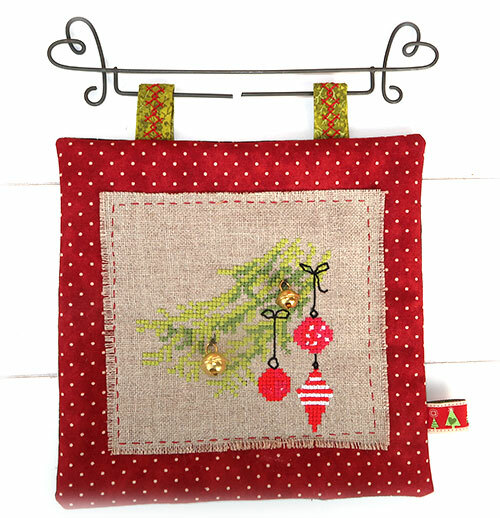 Best they look when done with 30 cotton thread, but even when done with 40 thread they still look like you made them not with the machine but with your hands. 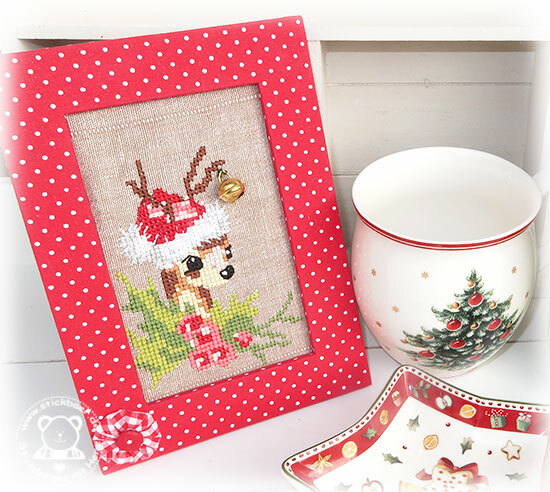 Every single stitch is done multiple times! 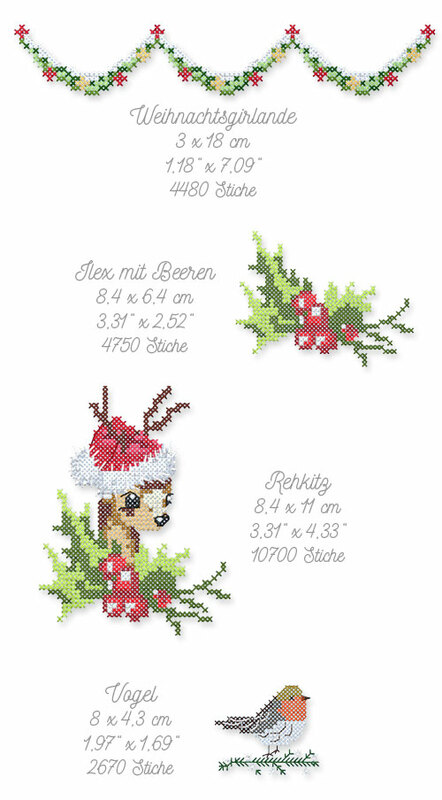 For this file you need at least the 4x4" hoop, only the fawn and the garland are made for the 5x7" hoop. 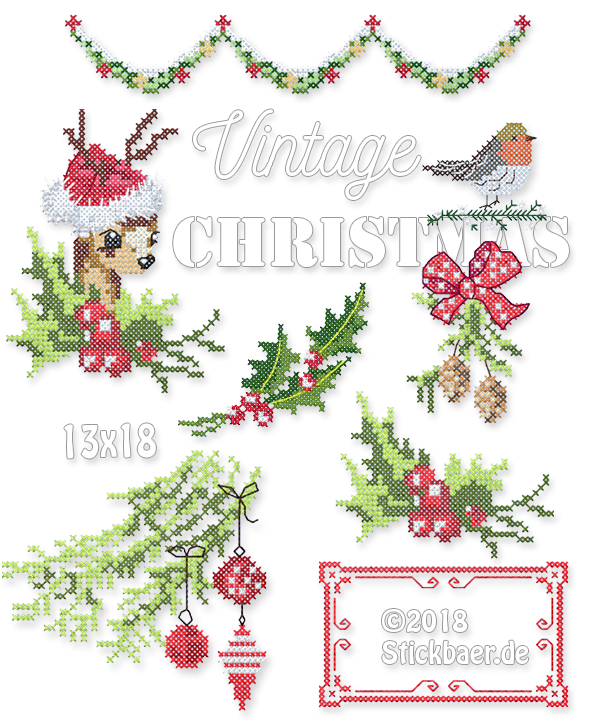 How they will look when finished, what the real size is and a lot of samples for the Vintage Christmas by our testers can be found here.